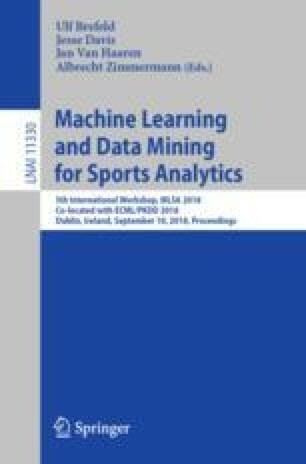 This paper presents our approach to the football pass prediction challenge of the Machine Learning and Data Mining for Sport Analytics workshop at ECML/PKDD 2018. Our solution uses distance based features to predict the receiver of a pass. We show that our model is able to improve prediction results obtained on a similar dataset. One particularity of our approach is the use of failed passes to improve the predictions.